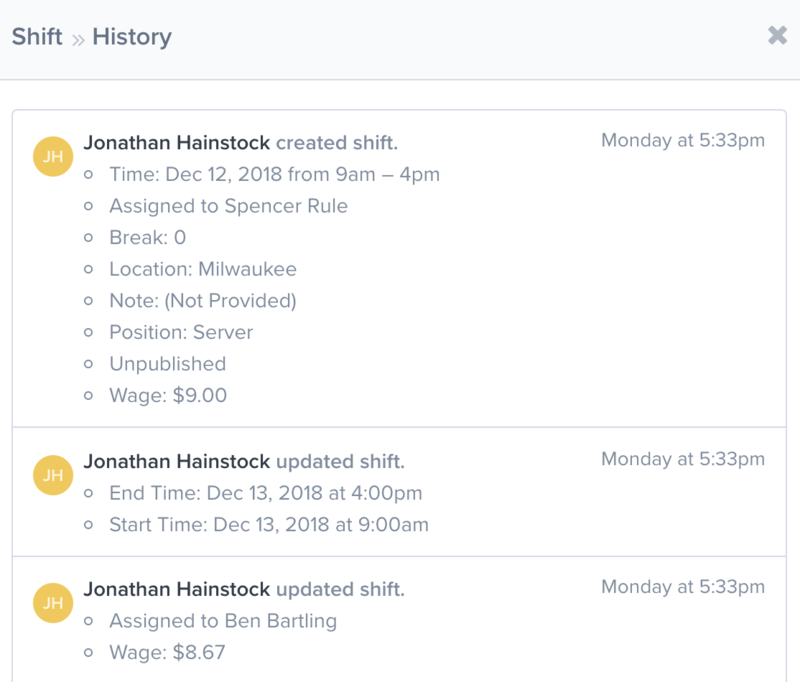 Need to view the history of a shift, timesheet, time off, etc.? Maybe you want to know who edited a time off or when a time off was approved? To view the history and notifications for an item, click on it. Then click the History button. You will see a pop-out window with a history of the item. This will include changes to the item and notifications sent.